Back view of woman figure from Brazil. 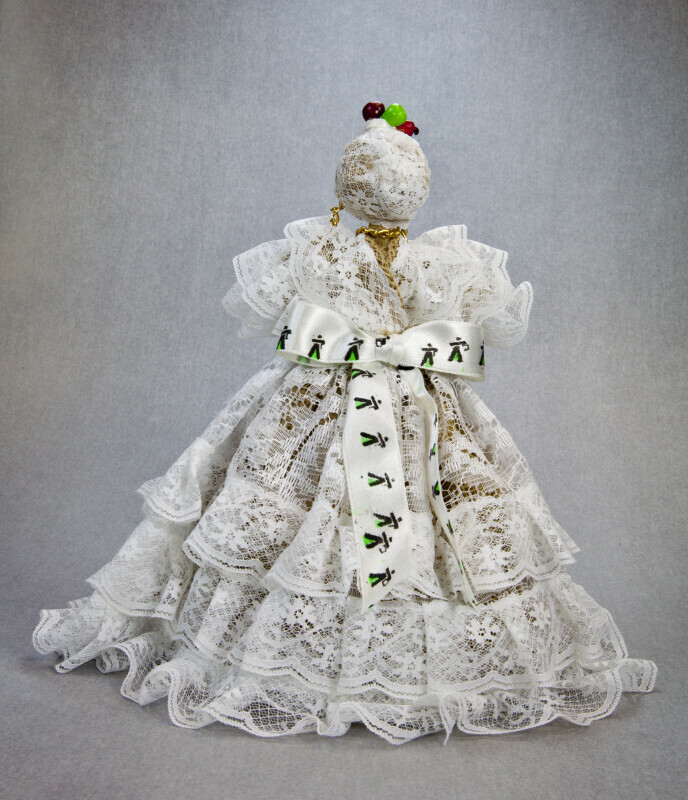 The picture shows the dress made from layered white lace. She also has a white lace turban-like head covering. The ribbon around her waist is tied in a large bow. This figure stands 9 inches (23 cm) tall. WARNING: You are about to download a 26.6 MB TIFF!